Our animation client is cleaning up Britain | Mair Perkins Ltd.
Littergram is an app that empowers everybody to name, shame and force a massive clean up of Britain using the power of social media. The app creators approached us to create an animated explainer video to encourage people to download and use their app. 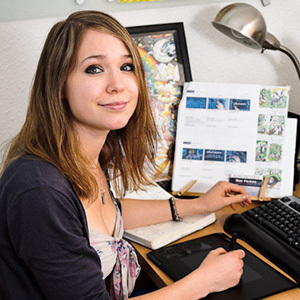 Since the animation was completed in June 2015, Littergram has been growing in success. Tonbridge & Malling Borough Council are the UK’s first local authority to officially partner with Littergram and use the council portal designed for acting on posts from Littergram app users. 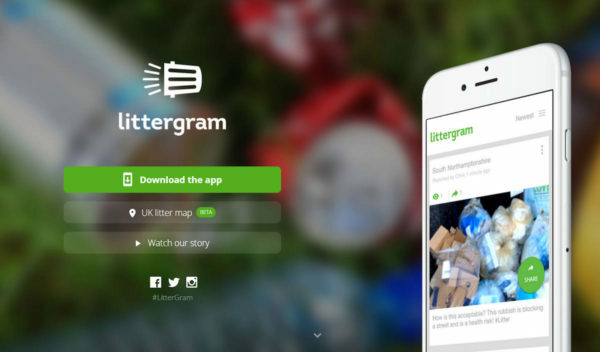 Littergram has also partnered with Clean Up Britain (who are pretty much today’s equivalent of Keep Britain Tidy) and have now been approached by McDonalds and Waitrose who also want to support the app. The animation was originally used on their website to explain the app but has found additional uses. 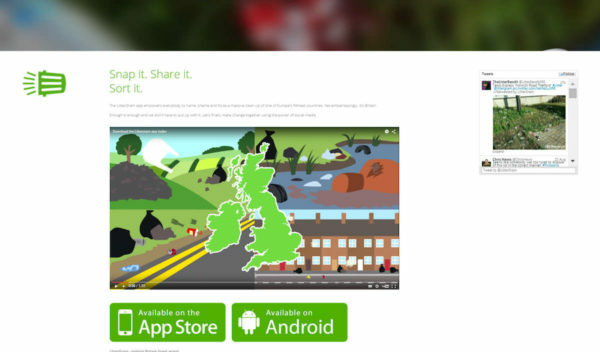 The app developers integrated parts of the animation into the training videos for users as councils begin to use the app. 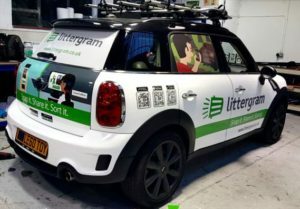 We also provided vector artwork from the animation to be printed onto a Mini car to help promote the Littergram app as it drives about! The vinyl wrapping was done by Creative FX in London. Photos courtesy of Creative FX.